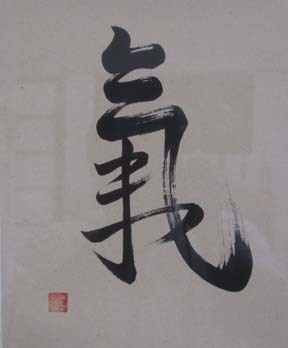 Koei-Kan Karate-Do is an original style of Karate-Do that can be traced back to its roots in China, Okinawa, and Japan. Koei-Kan is a very disciplined form of martial arts that has not been changed or Americanized from its traditional ways. The Benefits of a Martial Arts Training Program! "See Yourself in a New Light, Through this Ancient Art"
Serving Santa Barbara for over 30 years! •Sparring: Develop at your Own Pace or Train to be a Champion! National Champion Instructors to Help You Explore Your Untapped Potential! PARENTS: Get your kids in a Character Building Program. The Children's Class and Individual Training helps to improve respect, responsibility, confidence, self-esteem and discipline. 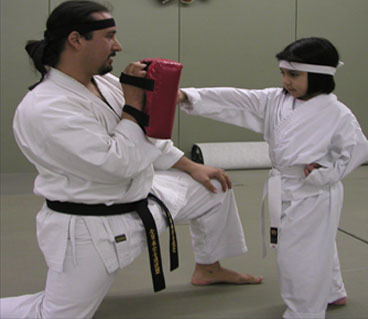 Traditional Martial Arts practice, enables children to have a true sense of personal growth without the emphasis on competition. The primary focus is to give your child the opportunity to build inner strength and leadership skills that will allow them to stand out amongst their peers. See Who's the "STUDENT OF THE MONTH!" In addition to unlimited individual instruction, the Koei-Kan Academy offers group training two times each week. These group classes are designed to help students master both basic and advanced skills. The group training, which emphasizes excellent Cardio Vascular conditioning, leads a student to achieve superior power, speed, and coordination. Group class also helps a student to develop a positive mental attitude for everyday living and helps in the reduction of stress. The confidence one gains from Karate-Do will daily enhance both self-esteem and self-image. Are you looking to Lose Weight, Get Fit, Improve Your Health, Improve Your Nutrition or Just Feel Better About Yourself? Our FitClub is designed to help you succeed. HOW? We offer the state of the art Fitness Programs, World Class Nutrition and Support. Our Accountability program can help you change your life while being with a group of like minded people to help you achieve your goals. It's not easy but it is doable when you get the support you need. Join us for a free workout and see what everyone is talking about! Learn more!